So I love Indian food as does the Husband (he tells me that he is English and apparently Indian food as we know it was created/invented in England - I have some doubts on that but I'll let him pretend for now). We have two favourite restaurants here for Indian food - that being said I love making the food items at home I have found that most of the things that I want or will order in the restaurant I can order at home for less and sometimes as good or better than in the restaurant. 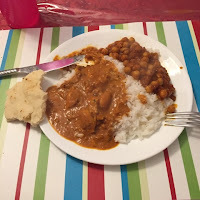 When I took my first look through Canadian Living - The Ultimate Cook Book one of the recipes that stood out to me was Chana Masala as Justin has ordered that the last couple of times we have had Indian food. 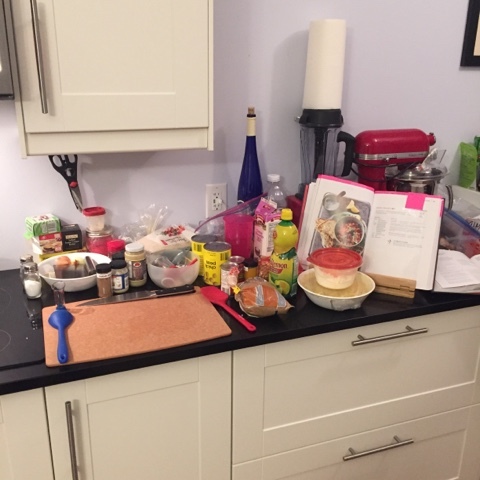 When I read through the recipe it seemed easy enough, and honestly it was kind of the spark and inspiration from this one recipe that lead me to want to do this challenge. I would say that the recipe was rather successful (according to the husband at least ;) ). I followed this recipe exactly from the book and it worked really well and tasted amazing. a try from the Gordon Ramsay Home Cooking cookbook a whirl. 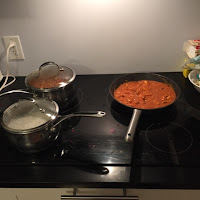 It was really good I did make some modifications to the recipe as I went because it didn't seem to have enough sauce and the husband and I both like a lot of sauce for the rice. I still plan on trying the Canadian Living version of butter chicken. I will come back and post the recipes and modifications later.